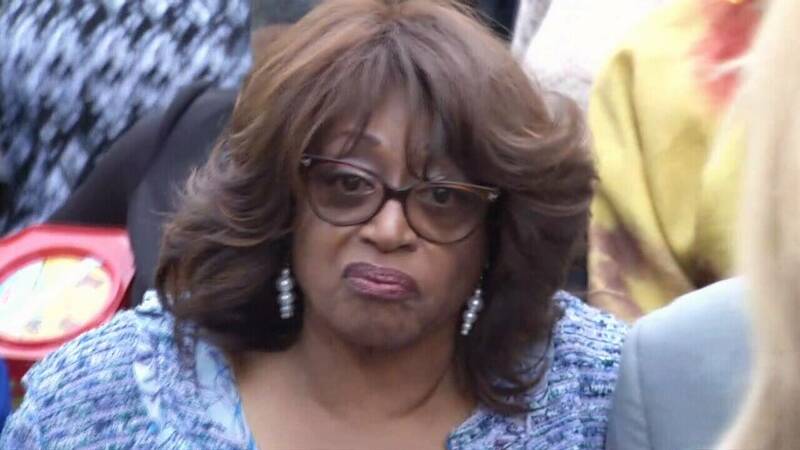 JACKSONVILLE, Fla. - Federal prosecutors have filed a brief challenging former Rep. Corrine Brown's appeal of the court ruling that ordered her and her co-conspirators to pay back hundreds of thousands of dollars they obtained through the One Door for Education scheme. Brown, 71, was convicted of 18 federal crimes in May 2017, including conspiracy, fraud and tax evasion. The following December, she and her co-conspirators, Ronnie Simmons and Carla Wiley, were each given prison sentences and ordered to collectively forfeit $654,292.39. Each defendant was potentially responsible for forfeiting the full amount. Additionally, Brown and Simmons were ordered to forfeit another $10,000, collectively. Last month, Brown's attorney, William Kent, filed a brief with the U.S. Court of Appeals for the Eleventh Circuit arguing how the Supreme Court's ruling in Honeycutt vs. United States applies to Brown's case. In the 8-0 ruling in Honeycutt, the nation's highest court ruled that in conspiracy cases, defendants could not be held jointly and severally liable in a forfeiture order. That means a court must determine how much each defendant is financially responsible for based on his or her role in the conspiracy. In their response, prosecutors argued that the district court did not make an error in its judgment against Brown. They wrote that Brown was not held jointly liable for fraud proceeds obtained by others, rather, that she was held liable that she and her co-conspirators jointly obtained, adding that Brown was the driving force of the fraud conspiracy. For those reasons, they argue that Honeycutt does not apply in this case. The appeal of the forfeiture ruling comes as Brown is asking the court to throw out her conviction, based on the decision to dismiss a juror during Brown's federal trial who said he believed the Holy Spirit had spoken to him during prayer, saying Brown was not guilty. In January, Brown began serving a five-year sentence at a minimum-security prison camp in Central Florida. The appeals court has announced that it will hear oral arguments in the case during the week of Dec. 10, in Atlanta.